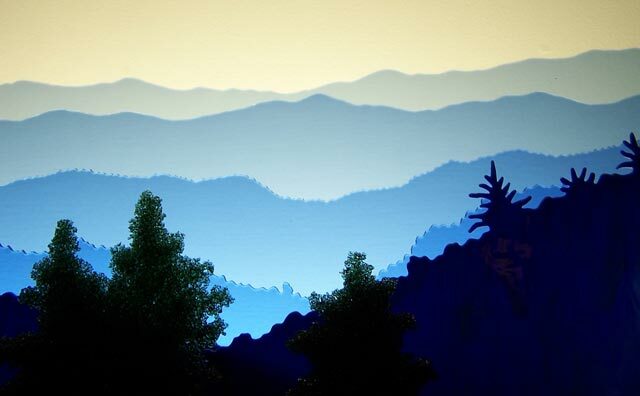 Just as one doesn't see paint in a fine painting, it's hard to believe that "The Great Smoky Mountains" is made of art glass. Equally stunning is the artists' rendering of successive layers of alternating ridgelines and haze, as well as the dramatic illusion of depth between the closeup trees made of frit and the most distant mountains. Limited edition of 30. Dimensions: 42" long by 8" deep by 13" high.